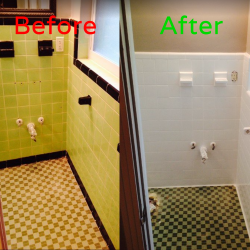 Expert Resurfacing makes tile refinishing easier than ever. 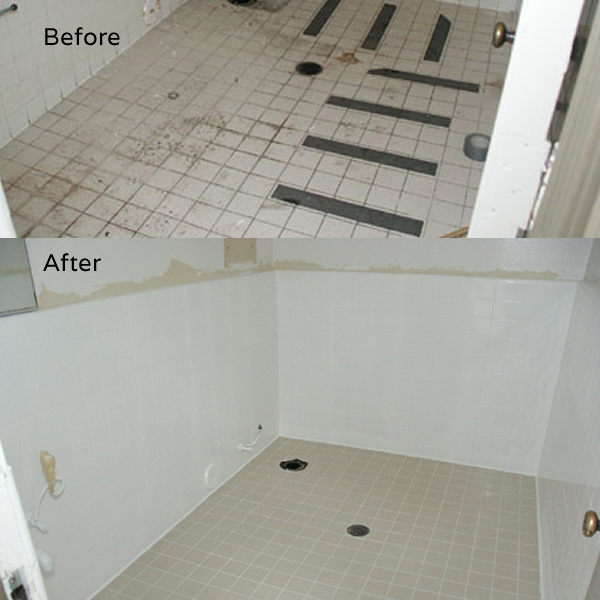 Our on-site, spray-on process means no removal or demolition, plumbing complications, or downtime. Now more than ever counter top, tub and tile resurfacing and repair has become the quickest and most economical way for homeowners and property managers to give their kitchens and bathroom fixtures a clean updated look. 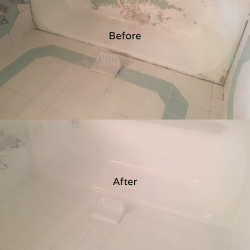 There is no need to remove or replace old worn or chip and cracked counter tops, or tiles when remodeling your homes, apartment or hotel rooms. Worn, dull and stained counter tops or tiles with out of date colors and surfaces are the most common reasons for bathroom or kitchen fixture resurfacing. Even burns, chips and scratches can be beautifully repaired quickly and inexpensively. By choosing resurfacing over replacement Expert Resurfacing will save you up to 80%. You can then apply these savings in other areas of your home or complex. With our commercial quality performance products we can repair almost any laminate, porcelain, fiberglass, ceramic, cultured marble or acrylic fixture. Refinishing is usually completed in one day, from start to finish, so your surface will be ready for use the very next day. Unlike remodeling which often takes several days to complete. 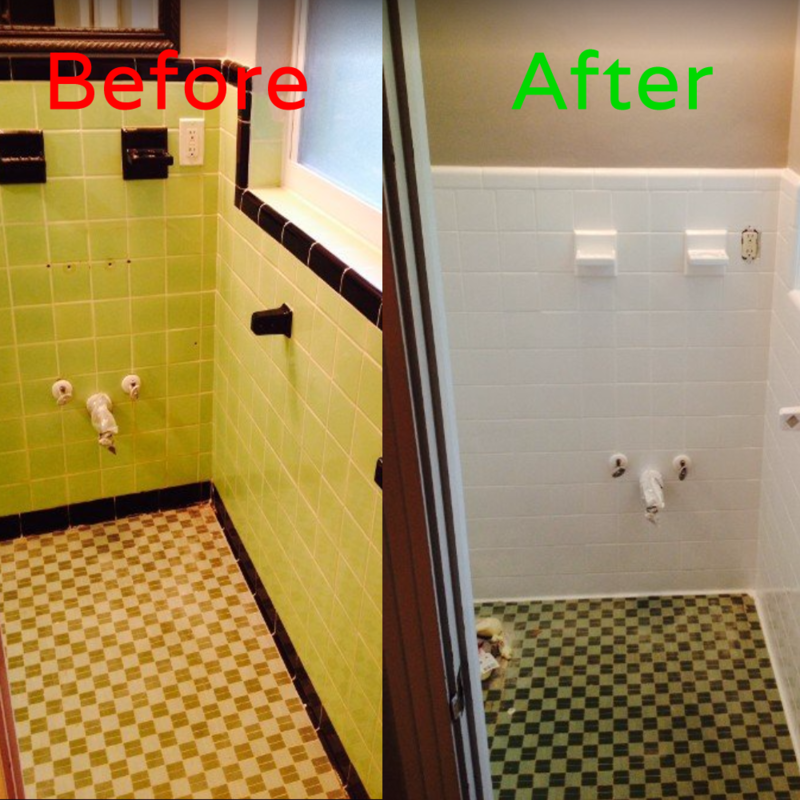 Our high-performance coating system restores porcelain tubs, sinks, and showers to a like-new condition. The coating process does not require acid to prepare surfaces, therefore providing better environmental friendliness—something other porcelain resurfacing products can’t claim. Our revolutionary products have a four-hour cure time, which is fast when compared to most 24 hour turn-around times; you can even use your tub or shower the very next day! 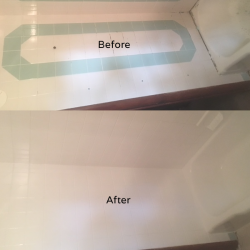 Our high-performance coating system is perfect for tile resurfacing and bathtub repair because it won’t peel, flake, or lift. It also has excellent color retention and a classic high gloss finish.